A 60 acre new development in South Burnaby is coming soon! 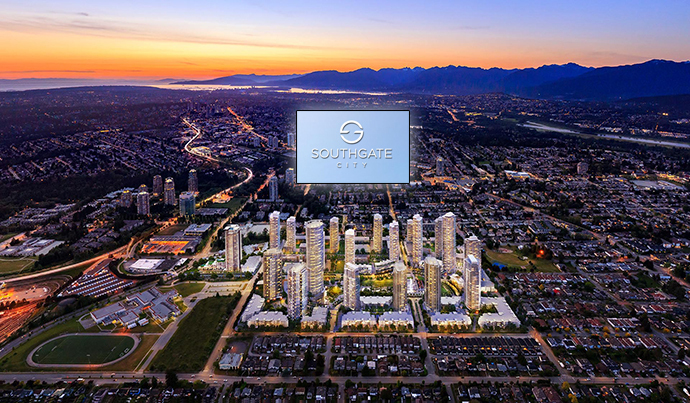 Introducing the Southgate City Burnaby condos, a revolutionary development with parks, water, residential towers and much more. It’s brought to the market by Ledingham McAllister and features both high-rises and mid-rises, lush garden oriented low-rises and a meticulously planned and designed 5 acre park with meandering and scenic creekside parkways. It will be a convenient neighbourhood too, with the addition of community shops and services that will include a gourmet grocer, restaurants, eateries, cafes and world class community centre. The SkyTrain Station is just a short walk away and it will connect Southgate City Burnaby condos to the rest of the Lower Mainland with easy access to downtown Vancouver and Richmond/YVR. 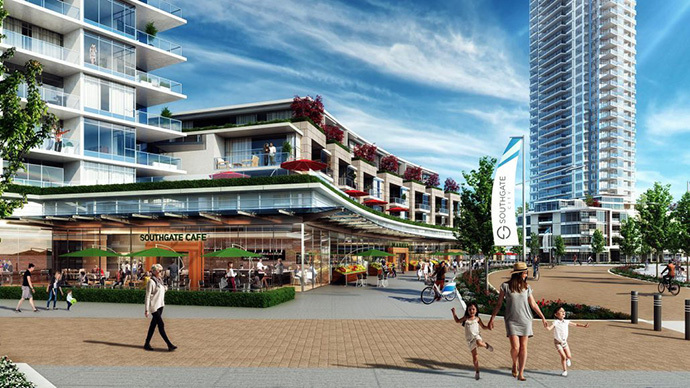 Burnaby Southgate City condos will also feature a children’s adventure PlayZone and splash park in addition to miles of active shoreline and plenty of open spaces to relax and play. More coming soon but in the meantime, please register your interest at the top of the page for the latest update. Below is an excerpt from the Burnaby Southgate City condo web site with pictures. Visualize an energetic and cohesive community beautifully defined by its relationship to parks and water. This is Southgate City. Soaring above the slopes of south Burnaby, this revolutionary 60-acre Master Planned Community is born from the celebrated imagination of BC’s original homebuilder, Ledingham McAllister. Shaped by magnificent towers, mid-rises and lush garden-oriented low-rises, this community encircles an expansive and meticulously-planned 5-acre central park that is intersected by meandering and scenic creekside parkways. Day to day needs are easily met with the convenience of community shops and services that include a gourmet grocer, restaurants, cafés, and the luxury of your own world-class, park- side Community Centre. Connect to all of Metro Vancouver via SkyTrain just a short walk away. 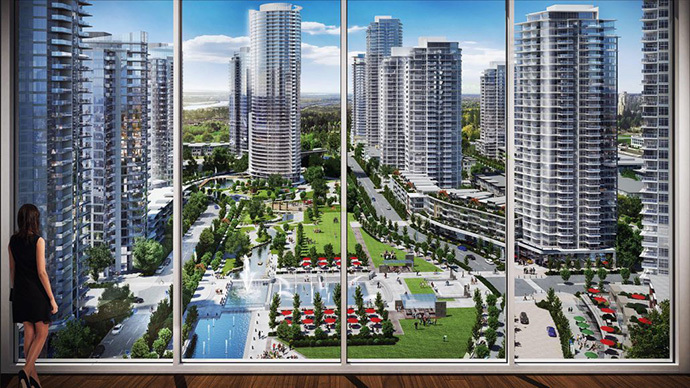 A new community is rising in Burnaby. Come home to Southgate City Burnaby. Water symbolizes vitality. It gives life, creates beauty, and transforms. A powerful force of nature. 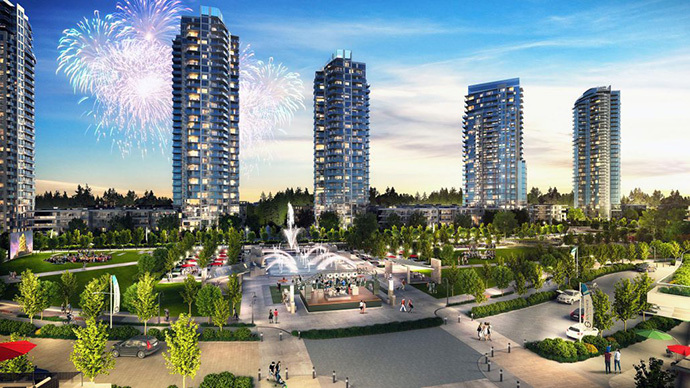 It was with this vision, that we designed a community interconnected by serene river greenways, playful water parks and spectacular landscaping here at the Burnaby Southgate City condos. People are encouraged to meet, interact, and get to know one another. Enjoy a picnic or play a pick-up soccer game on the sweeping Great Lawn. And listen to an outdoor concert on the Plaza at Southgate City Burnaby condos. Over half of Southgate City is dedicated to nature & designed to put everything you need right at your doorstep. Feel the energy of a happy, healthy living environment in this complete city.